Red Dead Online's obviously a huge deal for Rockstar, and the beta's been going on for about a week now. As such, the developer's looking to keep things ticking with consistent updates, the next of which will launch as early as this week. 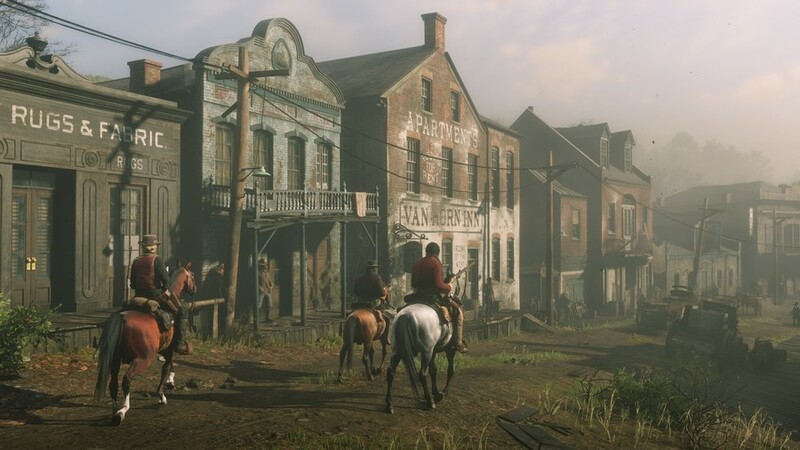 In a statement on Twitter, Rockstar writes "Your feedback from these early days will be instrumental in helping formulate updates to every aspect of the experience. Our current areas of focus include the in-game economy, which will require some additional balancing in order to ensure all activities are appropriately rewarding and fun, as well as some persistent bugs that are causing some players to be kicked from sessions." Indeed, the in-game economy of Red Dead Online has been a sticking point for many players. 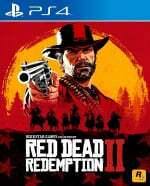 Guns cost more, clothes cost more, medicine costs more, food costs more -- everything feels expensive when compared to the single player mode of Red Dead Redemption 2. In turn, this can make saving your money for the stuff that you really want to buy seem like a grind, and, of course, a stingy economy helps push microtransactions. The only other super common complaint that we've seen around the 'net is that there's no passive mode or private sessions. Unsurprisingly, a lot of players just want to shoot each other in the head over and over again, and it can be a huge pain in the neck when you're just trying to enjoy the game with friends or by yourself. There's no mention of passive mode or private sessions in Rockstar's statement, but we imagine that one or both of them will be added sooner or later -- the developer probably just wants to stress test things throughout this beta period. How are you finding Red Dead Online? What do you want to see updated? Reload your sixshooter in the comments section below. I have friends on PS4 and Xbox One who really don’t like to mess with online mode right now. Basically they say they just get killed by some random dude way too often. Or they tie you up to a horse and just drag you. Seems very annoying. Way too many idiots on there to be fun. Sticking to SP here. I know we live in a 'want everything now' generation but if you're willing to put in the work then gaining money slowly but surely for that new rifle or bow can be rather quite rewarding. Once you get the varmint rifle and the bolt action rifle, making money is a lot easier because of all the perfect pelts and carcasses you'll be selling. It feels good to make a nice $50 At the butchers from a good hunt....providing you're not shot in the face on the way back with it all. I don't expect the economy to be like the single player, but I shouldn't have to endure a dozen hours with the same two guns. Wanted to try it today but it looks like the beta has ended. Or did they just removed it for maintenance? I don't like where gaming has been heading this generation. I've only run into a few random killers in my 20+ hours if online. If they continually harass me or kill me I'll return fire on them, then their horse, and them switch servers. Half the time I end up on a server on my own, which gives me team to hunt, collect and prepare. But I don't mind the economy system that mist people complain about. As grooverider said, if we all maxed out straight away it would get boring very quickly. There's plenty of challenges to complete. Checked it out looked just as fun as GTAO but I'm not ready yet, still not done with SP, because I'm busy handing over perfect pelts to The Trapper to make garments for me. I do not see it as a total grind, you should not be able to buy everything after playing one day or 1 week. If you want everything straight away you need to go play a FPS. Some prices are definitely wrong - all jewellery should give much better payout. Wild horses should be sellable. I do not mind at all Mouser for 1000$, it could be even double no problem. Yes I have no money straight away to buy bolt action rifle, but that's the challenge. My friend got it, but he don't have some other weapons what I got on approximately same level and it makes it more interesting. I sense pride, I also sense accomplishment. But what is this? No one will get angry because it is rockstar and not EA? That will be €100 for reading the future, cash or card? I'm enjoying Red Dead Online just the way it is right now... I don't often play games online, but this has got me hooked. Red Dead evokes a sense of multiplayer fun and excitement I haven't really known since Goldeneye (except it's ten times more epic). I loves it. Not because of Rockstar, but because it's a great game, and a pretty smooth online beta experience to boot. I look forward to seeing how things progress. I try to have a peaceful game to try and get some money to buy the very expensive weapons, I wasted $30 on ammo which I can't even use in the weapons I already own, I get kicked out by a server fault and loose everything, then when I try to start over idiots come along and kill me for the sake of it... If that's how the game is going I'll put the wasted £74.99 loss down to experience. I LOVE the online character design and the game so far. I HATE not having a passive mode or at least private sessions ! The morons who just shoot you as soon as you appear or as you are enjoying the actual gameplay ruin it totally. I’ve got a couple of friends who say they just won’t play this superb game if it continues in this form. Come on Rockstar act now and save the best game on any format ! The option for an invite only private lobby is needed. Then, like gtao, we can use public lobbies for messing around and private for when we do not want to play with randoms. I played this past weekend. The intro had choppy frames, the server crashed every 5-10 minutes, and my character seemed to look more ugly the longer i played. Right now i am waiting for reports of improvements before i play again.